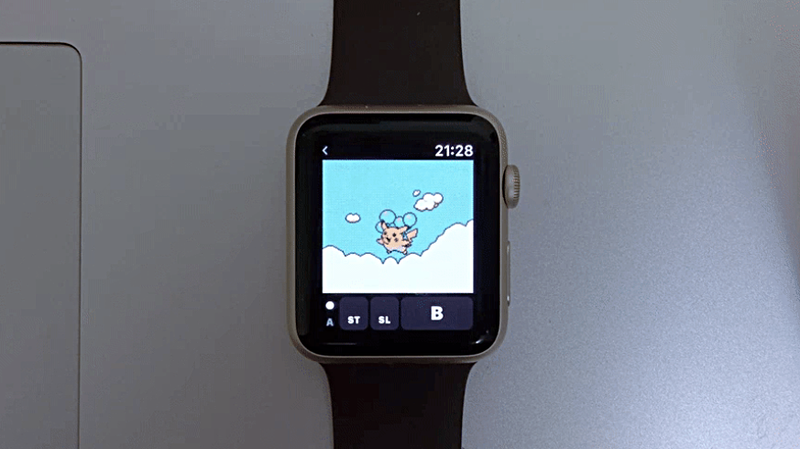 Giovanni Game Boy emulator for Apple Watch is now available and lets you play Pokemon Yellow right on your wrist. The Apple Watch is a pretty capable device given its size. But when it comes to gaming, it’s fairly obvious why Apple didn’t take that route. But one developer – Gabriel O’Flaherty-Chan – disagreed completely with Apple’s decision and has made a Game Boy emulator for the device called Giovanni. And in case you are wondering, the name of the emulator comes from Team Rocket in Pokemon. Think of it as a tribute, if you may. Once up and running, you can dive into age old classics like Pokemon Yellow, which, by the way, is playable immediately once you set things up completely. The controls are all on-screen which means you will most likely be struggling to get things in the right direction until or unless you have a good few hours of practice under your belt. I reckon things are going to be better on the 42mm model of the Apple Watch. But only slightly. The developer has tossed in quite an effort to prove what is possible on the Apple Watch. And he also admits that a lot of things might not work as intended from the get-go. This means certain corners are going to be sluggish when it comes to performance, and you might even end up seeing some strange artifacts during gameplay. One of the big challenges was to find the right balance between frame rate and performance. As you can see, it’s a bit sluggish and unresponsive, but as a prototype, I think it answers the question of ‘is this possible? If you are interested in the project, then head over to this link. Apart from literature regarding the emulator itself, you will find relevant links pointing towards the GitHub page where all the files are hosted. This isn’t the first time we are seeing a hint of gaming on the Apple Watch. Previously, one developer managed to get DOOM up and running on the device. We are, of course, talking about the classic. Not the recent one. That would be outrageous. We will keep readers updated if there are updates on this project, so stay tuned.